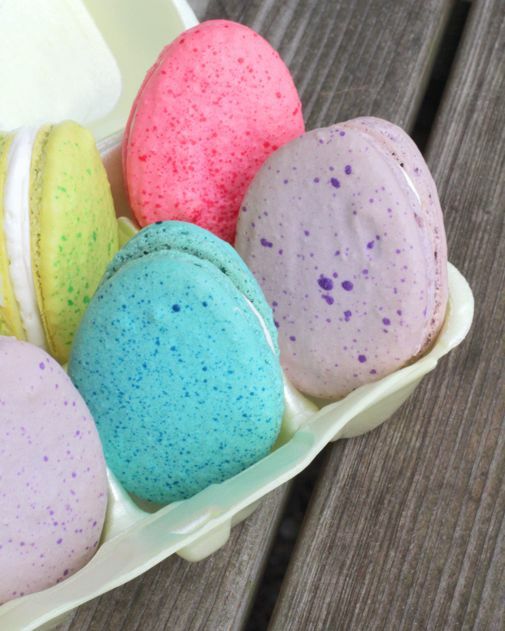 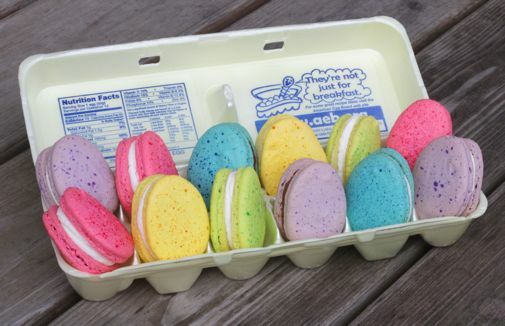 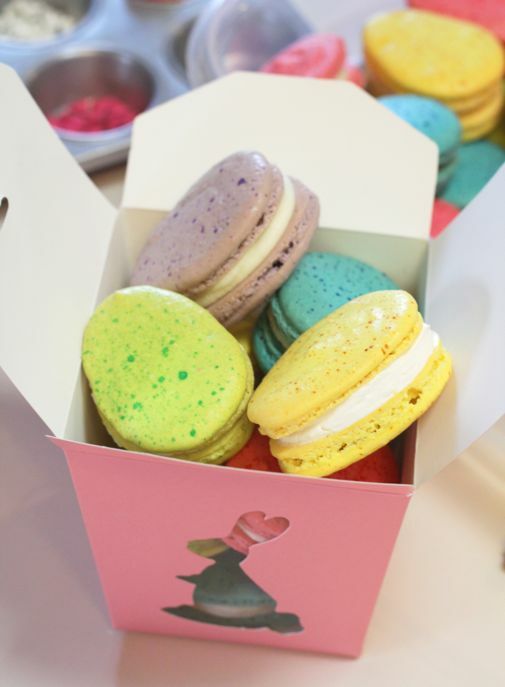 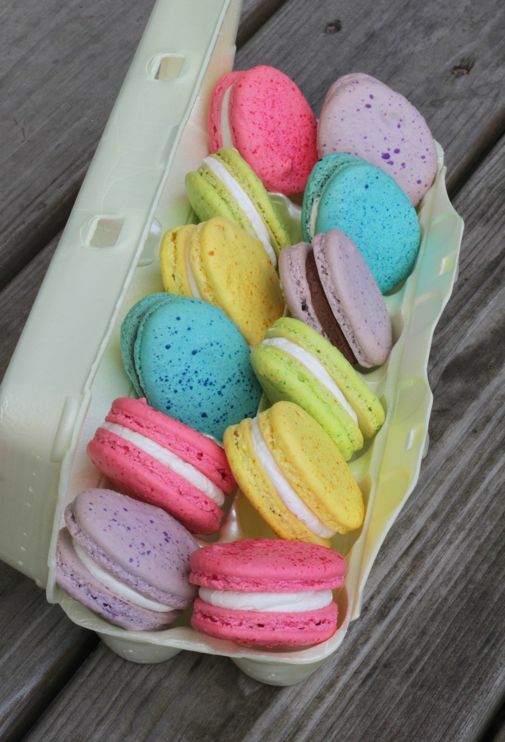 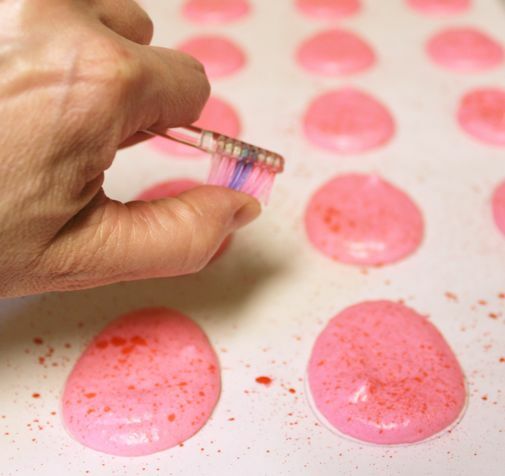 Pretty pastel colors, sweet little speckles, what's not to love about these Easter egg macarons? 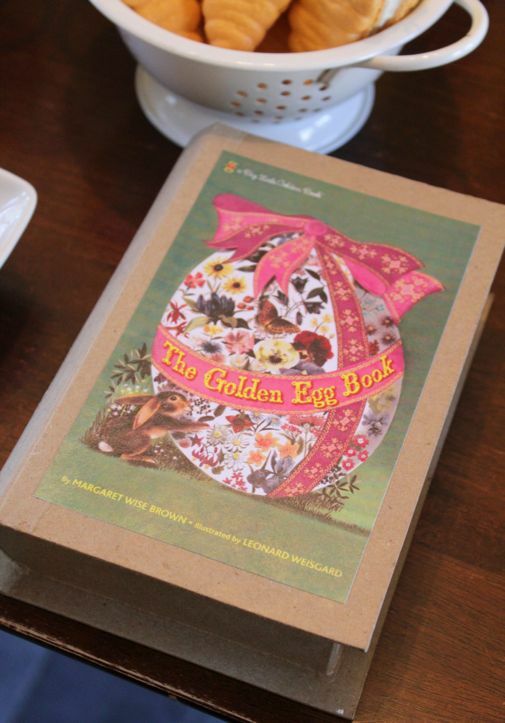 I found this box at Hobby Lobby and glued a printout of the Little Golden Egg Book on the front. 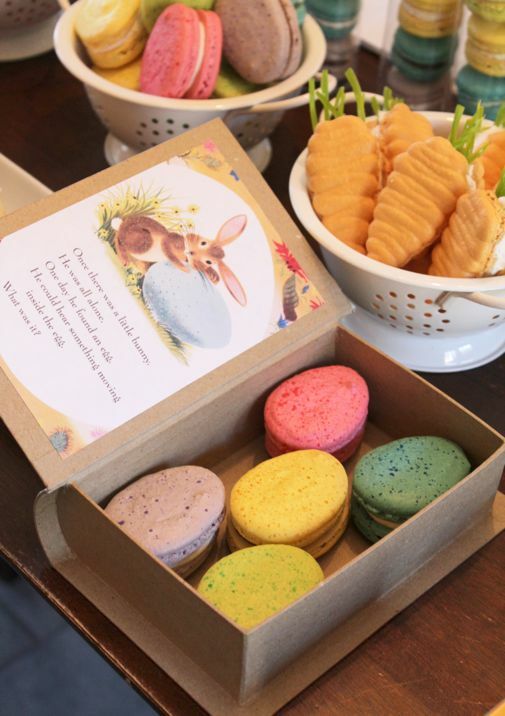 Inside, are five different colors of speckled, Easter-egg macarons. 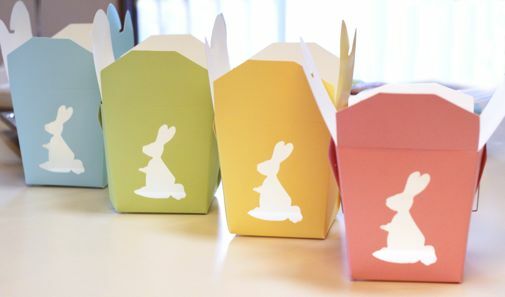 I found these cute, Easter-y takeout boxes at World Market.